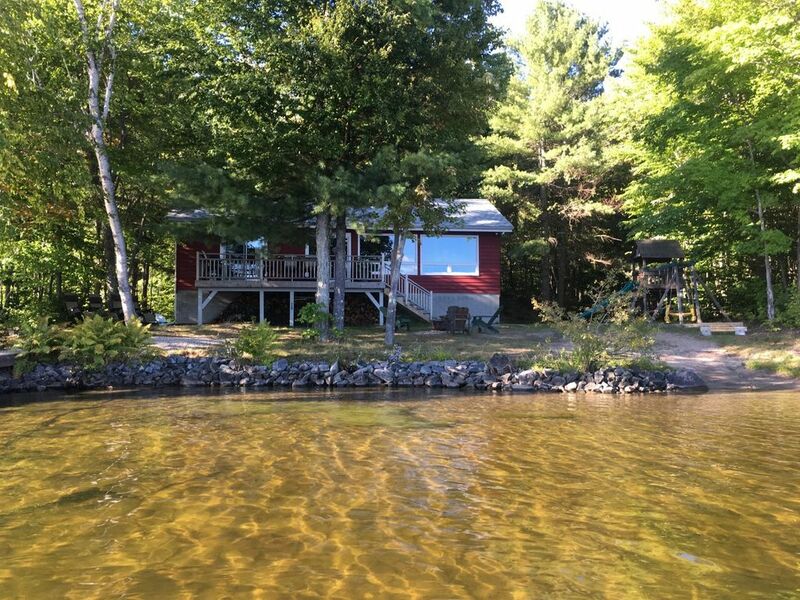 Central Lake Muskoka location minutes to Bala and Port Carling. Situated on level lot with superb shoreline and southwest views. Lakeside on beautiful Lake Muskoka region of (Bala) Ontario. Able to accommodate larger gatherings at reasonable cost, it's a four bedroom Muskoka experience at its best! Minutes from town yet a world away in privacy. Spectacular panoramic southwest view overlooking Sunset Bay from spacious area of decking . The perfect location for your next family/friends/ vacation getaway! Large family room for group activities such as yoga and other special interest gatherings. Large outdoor fire pit for evenings outdoors. All the luxury comforts in country living! Enjoy the privacy. And if you wish, the town of Bala and Port Carling is less than 10 minutes away! Paved country road all the way down make it an ideal location only minutes away from all Muskoka has to offer! Snowmobilers! We are minutes from the OFSC trails. Golfers will have more choices for courses in the region than they can imagine! Boaters have access to the beautiful Muskoka Lakes via a boat launch on the property. National Geographic Traveler magazine has chosen Muskoka as one of Best of The World - Must-see places for 2012! Muskoka was also recognized by National Geographic as the #1 pick on their Ten Best Trips of Summer list. Family, friends, cyclists, triathletes, golfers, boaters. 2. People other than those in the Guest party set forth above may visit, or stay overnight, at the property only with permission of the Owner. Any person or pet in the property is the sole responsibility of Guest. 5. PETS are permitted only with prior approval. 6. Stove: Do not use abrasives on the glass cook top. Special cleaning pads and cleanser are provided. fire pit, which are enforced in dry weather. NO DAYTIME BURNING ALLOWED. kitchen drain and dishwasher to a minimum. Marina in Bala. Turn at the Liquor Store, cross the RR tracks, it is ahead on your left. Fabulous cottage. Grand views and lovely sunsets. Nice location. Everything you’d want. Comfort and serenity. We hope to come back!